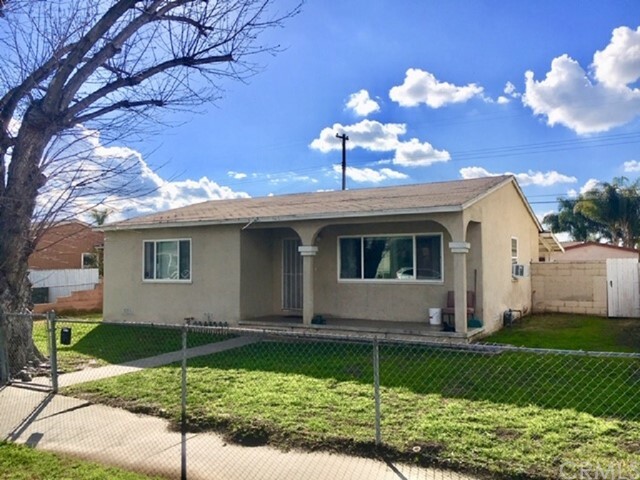 Great starter home for first time buyers, 3 bd. 1 bth with 1,151 sq. ft. of living space and 5,864 sq. ft. lot size. Kitchen has recessed lighting and granite counter tops. Ceiling fans in all bedrooms, living room and dining room. Dual pane vinyl windows, smoke detectors in all rooms and carbon monoxide in living room. Laminate wood flooring in living room and hallway, carpet in the bedrooms, tile in kitchen and bathroom. Backyard has block walls for privacy and detached garage. Located just minutes from shopping and quick access to freeways and quiet street. Property Sold "AS IS CONDITION"